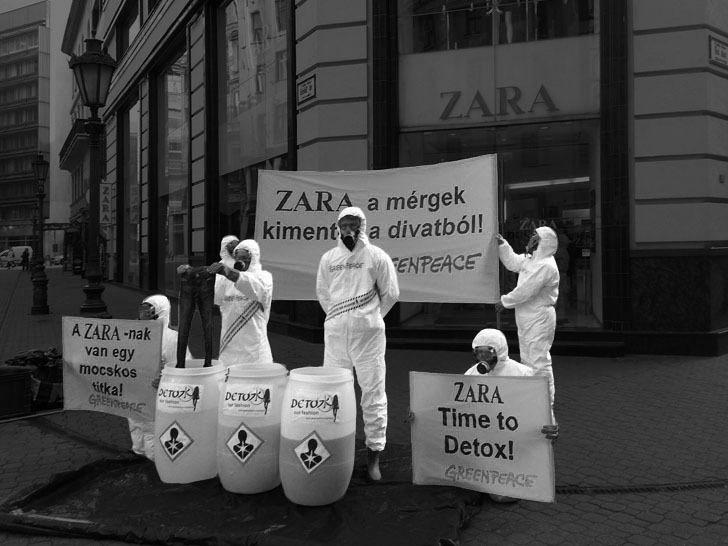 Greenpeace has been challenging fashion to take account of its effects on the environment. In 2011, the organization launched 'Detox my Fashion', a campaign that aims to put pressure on fashion brands that use hazardous chemicals in textile production. 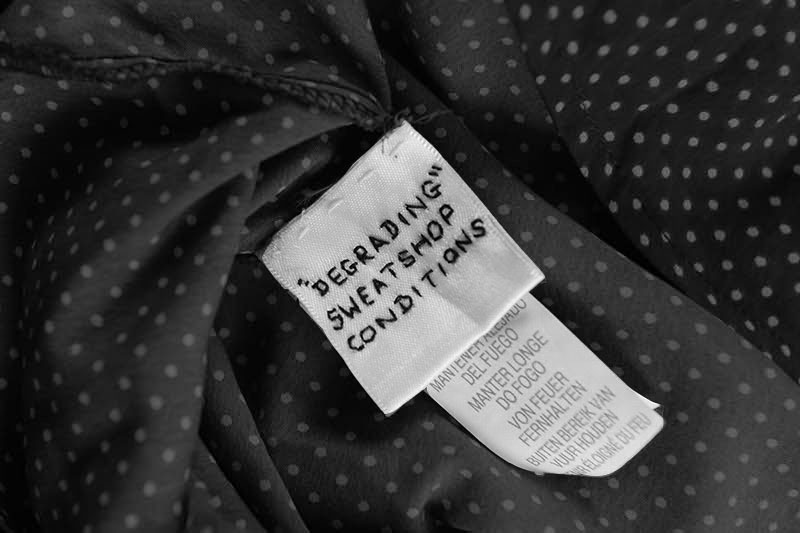 – One of the most mediatized actions following the Rana Plaza factory collapse was a series of hand-stitched labels sewn into Primark garments in 2013. 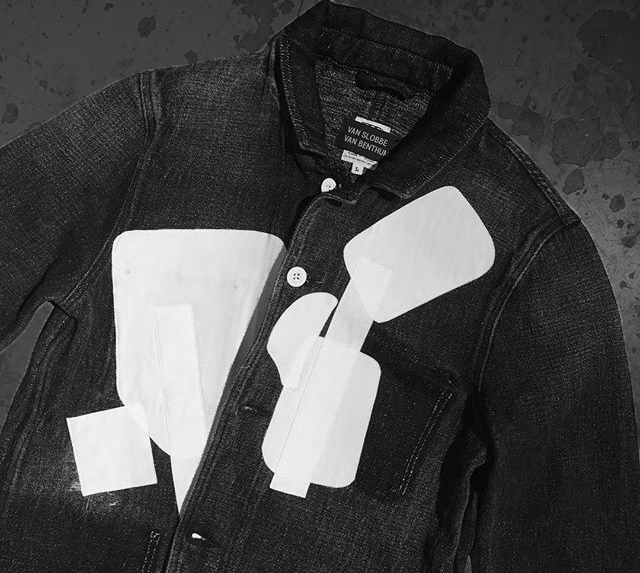 Discovered by shoppers, the labels were inscribed with ‘cries for help’ supposedly embroidered by factory workers. 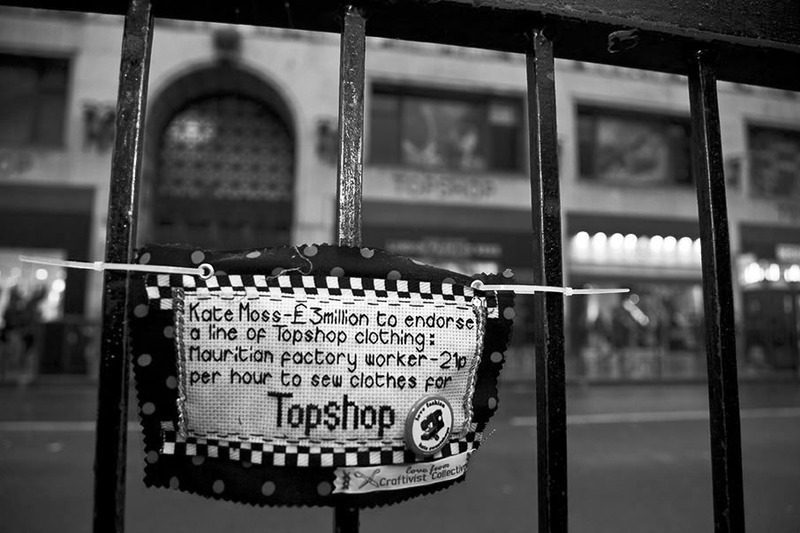 Whilst it turned out that these labels had been later added to the garments in the UK, they nevertheless helped to draw more attention to the issue whilst acting as a critique against Primark that used the Rana Plaza factory for manufacturing its products. This provocation echoes the approach taken by the Craftivist Collective founded by Sarah Corbett in 2009. The group uses craft for ‘gentle protest’ and as a point of critical reflection on global issues. Both of these examples demonstrate how a small individual disruptive action can have a big, lasting impact on the system. – Yomango is a movement that originated in Spain in 2002. The name is derived from the fast fashion chain Mango, translating from Spanish into ‘I steal’. This approach has been applied in different ways to challenge fast fashion. Yomango celebrates stealing — not from people, but from large transnational corporations that are accused of showing no respect for workers’ rights or the environment. To facilitate taking action, Yomango activists have designed multi-pocketed accessories and suggested clothing hacks. 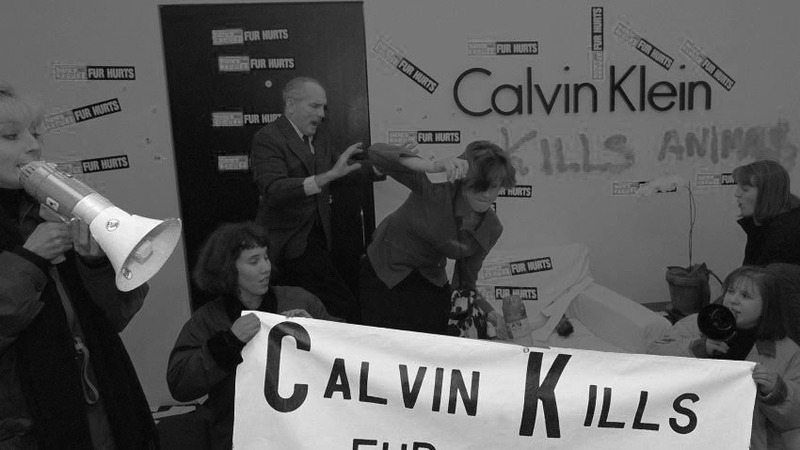 The stealing is complemented by performative protests like ‘fashion shows’ with stolen clothing, publications and press releases. 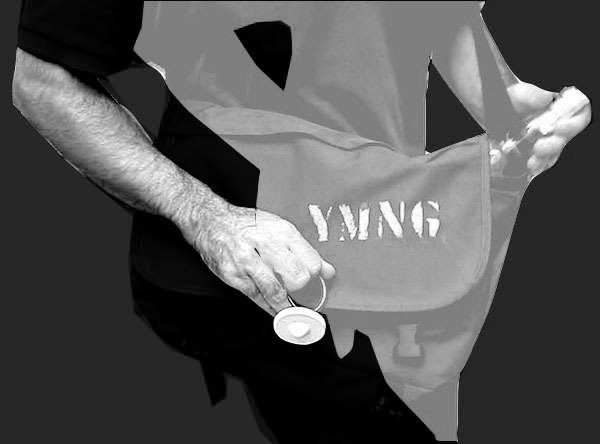 In many cases, Yomango’s actions have been supported or directly fostered by employees of these large companies, some of whom have become active members of the group, turning Yomango into an undercover protest from within. – Hacked by Van Slobbe Van Benthum seeks to target fashion audiences in a more traditional way by presenting contemporary fashion collections. Instead of creating new designs from scratch, the label presents unsold stock from fast fashion factories that have been modified by the Dutch designer duo. In doing so, Alexander van Slobbe and Francisco van Benthum appropriate fast fashion garments turning them into their own designs. With minimal alterations, they reverse the process of fast fashion brands copying designer’s work whilst reclaim their independence. 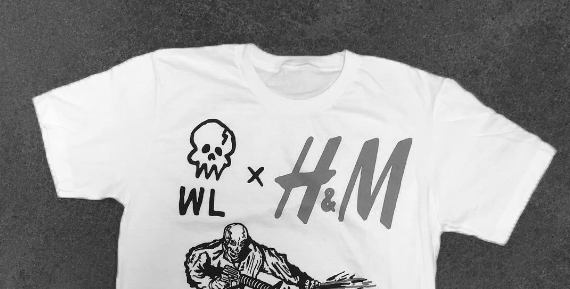 – In 2017, streetwear designer Warren Lotas distributed unauthorized t-shirts in front of one of the H&M stores in Los Angeles. In a similar vein as Hacked by Van Slobbe Van Benthum, Warren Lotas’ work is driven by an idea of revenge that is expressed through subverting and reframing brand logos. The underlying message is: if the corporations steal from small designers, the small designers will steal back. 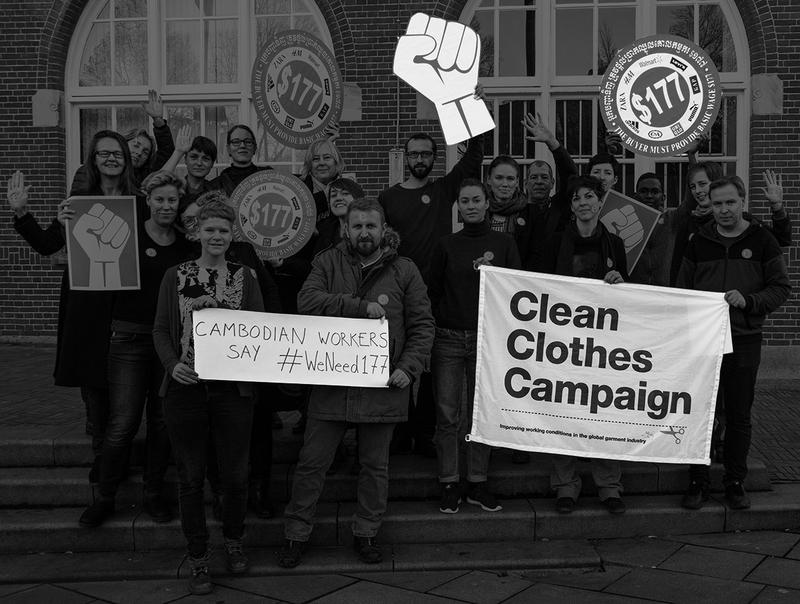 – Taking on the role of a whistleblower, Clean Clothes Campaign regularly initiates street protests in front of shops of brands that are behind on paying workers. This method creates awareness and news coverage. While the aim is not to prevent customers from entering shops, the campaign does dissuade some by bringing issues to public attention. – Fashion Revolution initiates campaigns on social media and takes the discussion offline by setting up repair cafés and swishing events. The organization seeks to engage with younger audiences though the use of hashtags such as #whomademyclothes and #haulternative. With a commercial visual language and collaborations with fashion bloggers, Fashion Revolution has the power to attract shopping enthusiasts and convert them into conscious consumers.